Short and long term rental contracts are available. Take a cylinder out for 7 days rent FREE. A £50.00 deposit is due on each cylinder hired. 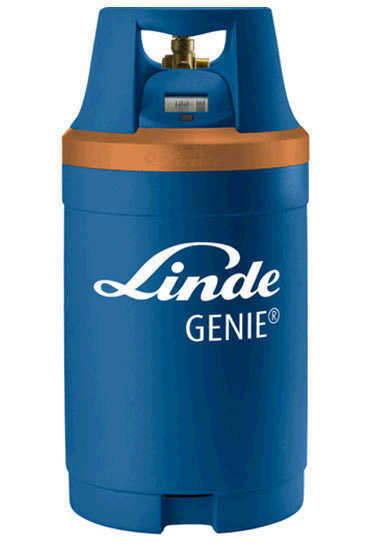 The Genie Helium Cylinders are lighter than the standard cylinders and have protective handles to prevent regulator damage and each one has an interactive display indicating the remaining gas in the cylinder! 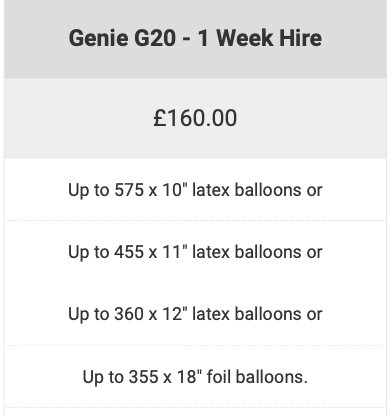 This GENIE G20 & G10 Helium Hire Cylinder is supplied with a hire nozzle and includes hire for 1 week. All cylinders & kits are the property of BOC but must be returned to the place of collection. All cylinders are tagged and barcoded. If an incorrect cylinder is returned then the deposit will be lost or held until the correct cylinder is returned. Daily rental charges will then apply and be deducted from the deposit left. 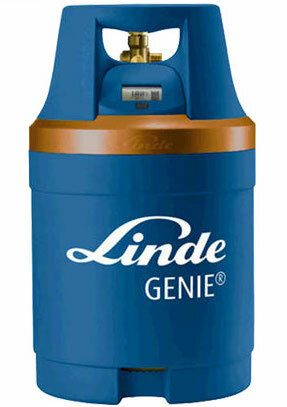 Please note that once you have rented the cylinder and filling kit you are responsible for its safekeeping. Helium is a natural, non-flammable and harmless gas, which if simple instructions are followed is easy to use. 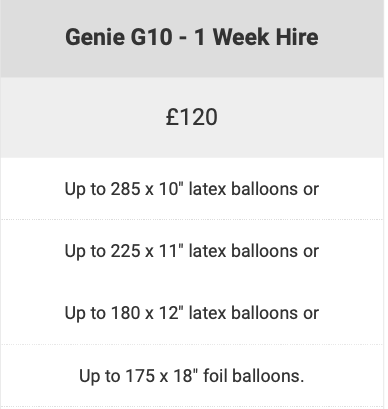 Our prices include one week’s rental for both the cylinder and filling kit, but a refundable deposit of £50.00 is required for each cylinder hired. Damage or loss of the cylinder or kit will result in loss of deposit.